When you require black adhesive to blend in with the colour of the electronics, automobile parts, piping or other general purpose items, depend on Cyberbond for your black adhesive needs. Our black adhesives are consistent in their quality, so they will always conform to your company’s important production standards. At Cyberbond, we have the ability to get you individual cases of black glue for small applications in addition to the ability to get your business mass quantities to meet growing production requirements. Cyberbond is trusted worldwide for providing top notch black adhesives to a variety of industries. Our black adhesives come in a variety of properties such as high strength, low viscosity, quick set time and more. We are highly committed to ensure the utmost quality of our black adhesives and prove it with our ISO 9001:2008 certification, ISO/TS 16949:2009 certification and ISO 13485:2003 certification. 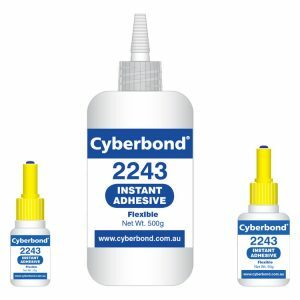 To view the assorted black adhesives offered by Cyberbond, see below.